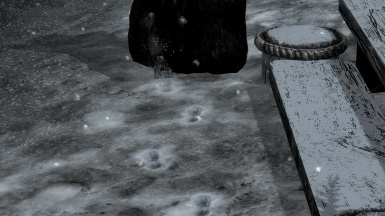 - Fixed the Giant's footprints not showing up. 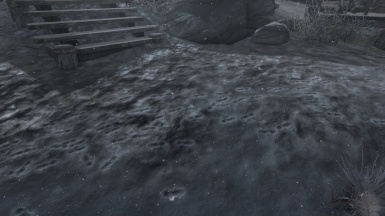 - Improved code that resets player footprints after changing race (werewolf, etc.). • The same code now applies to NPCs with prints as well, so NPC race changing is now correctly supported. 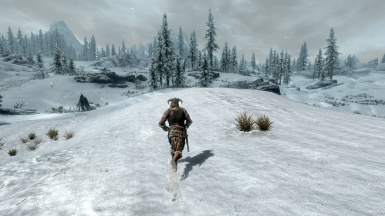 - Improved code that resets player footprints on savegame load. • The player's effect now kills itself on savegame load, instead of the main player alias script killing it, which is slightly cleaner. - Improved the manner in which unsupported races are ignored by the effect-attaching script. 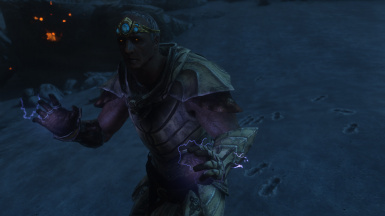 • The unsupported actor is no longer permanently ignored, which has two benefits: it is never stored in your save at any point; if I add support for the actor's race in the future, it is easier to give them the new effect. • This is retroactive, so the old system will be removed from all existing saves. - The cloak that attaches the effects, which has been "pulsed" (turned on/off) for several versions, is now active for even less time. It has gone from being active ~20% of the time to being active ~10% of the time. The time between pulses is also slightly less so there should be slightly fewer instances where you notice NPCs without prints yet. 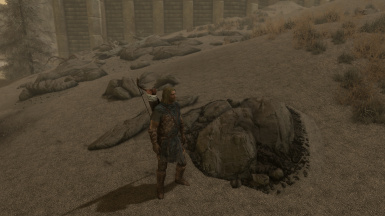 - Fixed the cloak being active immediately upon game load, i.e. before I could manage its status with the main script. This didn't matter before implementing the ignored location/world/interior system, but now meant the cloak was briefly running before it could be shut off for ignored locations. - Other miscellaneous script fixes and improvements that are not worth enumerating. - Resaved normal maps in linear BC7. When rushing to convert them for 1.5.1, I inadvertently saved them all as sRGB BC7 which caused slightly incorrect lighting. 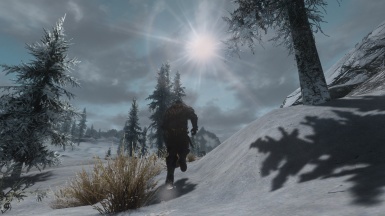 • The system that adds footprint effects to NPCs will no longer run in any interiors whatsoever, which unfortunately disables the effect in some ice caves and a few other interiors which have snow. The PC will continue to have prints in these locations however. • The system will turn off for entire world spaces and locations where the effects for any supported material (snow, ash, etc) are not necessary. 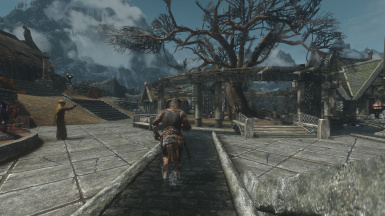 This includes places like Riften, Markarth, Solitude, Whiterun and their surrounding exteriors. I will continue to add locations deemed suitable in future updates. 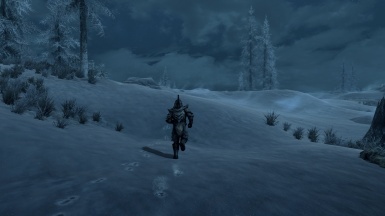 • Footprints on NPCs will now expire after a short duration and they need to be close enough to regain the effect. 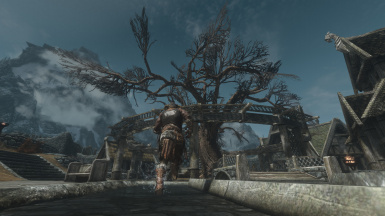 - The optimization options from the MCM in 1.0 still remain even though the MCM was removed for SSE. You can configure the limits for NPCs and FX via the console, as well as turn off the system entirely. - [1.5.1 hotfix] Replaced old texture formats that were causing crashes for some people with new DX11 formats. Specifically, some of the _n files. - [1.5.1 hotfix] Converted the _h DDS files to a better DX11 format. 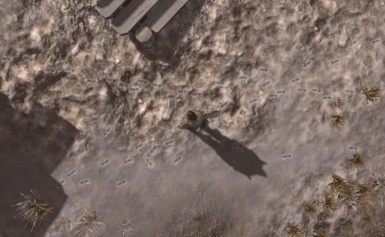 Adds footprints to the player, NPCs, and creatures. 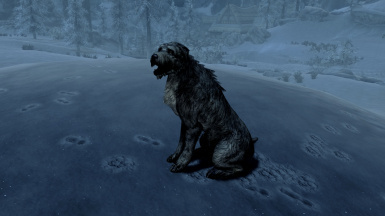 • Bear, Deer, Draugr, Falmer, Foxes, Frost Atronachs, Hagravens, Horses, Sabrecats, Skeletons, Wolves, Giants, Mammoths, Spriggans, Cows, Goats, Trolls, Skeevers, and Werewolves. 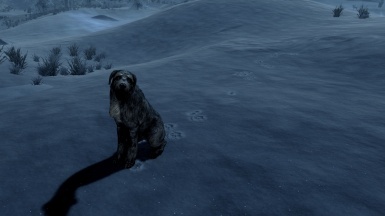 • DLC Races: Death Hounds, Vampire Lord, Werebears, Benthic Lurkers, plus the reskins of vanilla races. • Race-switching support for player character. 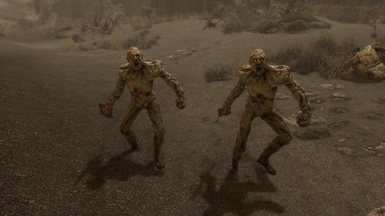 Shape Shifter mods should work fine given I have the prints implemented for the race in question. 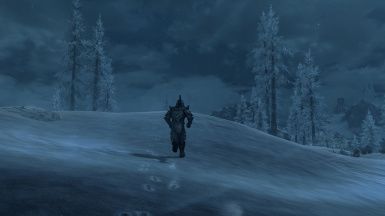 • Customizable limits for number of NPCs with footprints and number of NPCs with footprint FX. 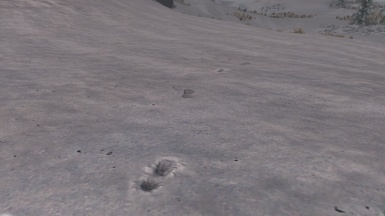 • Custom Footprints hook for modders who want to add footprints for their races. 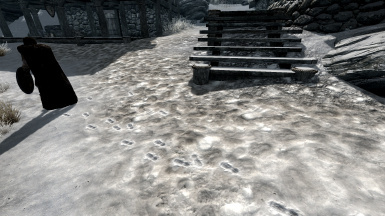 • Fixed the Giant's footprints not showing up. • Numerous script improvements and some minor fixes. See Changelog/Readme for more details. • Resaved normal maps in linear BC7. When rushing to convert them for 1.5.1, I inadvertently saved most of them as sRGB BC7 which caused slightly incorrect lighting. • Replaced old texture formats that were causing crashes for some people with new DX11 formats. Specifically, some of the _n files. • Converted the _h DDS files to a better DX11 format. 3. 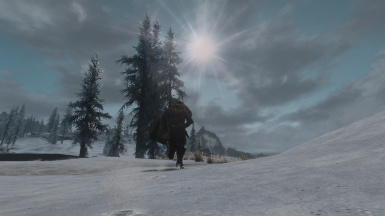 The optimization options from the MCM in 1.0 still remain even though the MCM was removed for SSE. You can configure the limits for NPCs and FX via the console, as well as turn off the system entirely (see below). 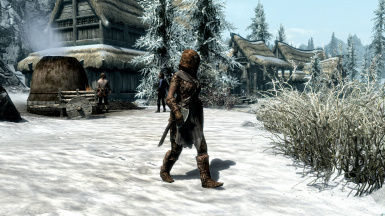 • In order to *vastly* simplify the scripts, Dawnguard and Dragonborn DLC are now required. • Scripts are now templated (e.g. Biped, Quadruped, Werecreature) so there are now fewer total unique scripts in use. 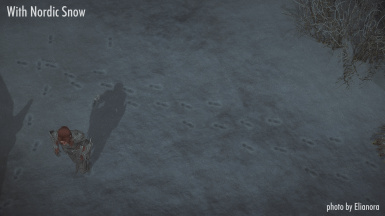 • NPC Footprints and NPC Footprints with FX are now "ref counted", i.e. 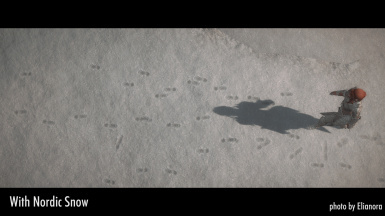 tracked. This is done so that they can be limited by the user. If you want no NPCs to have prints at all, you set this to 0. You can also set the number of FX prints to 0 to disable particle FX. This does not apply to the player and some races like horses. 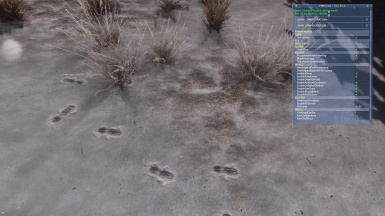 • Third party plugins can add additional footprints to the game. This can be used for custom races or to override existing ones. 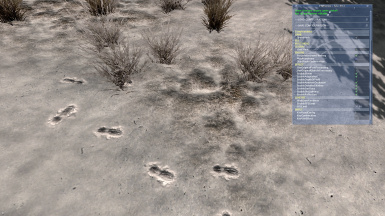 • Script templates for Bipeds, Quadrupeds, and more allow mod authors to include footprints for their races without any scripts of their own. 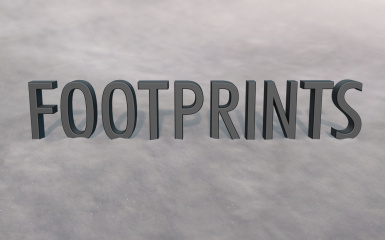 • Separate FormLists for extending the Player footprints and the NPC footprints. 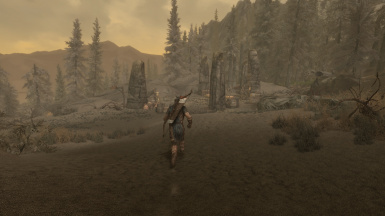 Meaning a third party plugin can target only the Player or only the NPCs if needed. • To use more than one plugin, the end user will need to be able to merge the FormLists from each plugin with a merged patch. Q This isn't working for me. • You don't have decals turned on. • You are improperly using the console to COC from the main menu or from the intro cutscene in a new game. This is not a proper way to test ANY mod. Q Is there a performance/FPS hit? A It will likely depend on your system and how many mods you have already installed. Q Is it compatible with ________ mod? 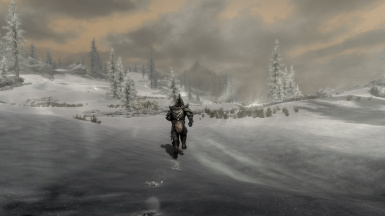 A It is self contained and doesn't touch vanilla races or NPCs, so it is inherently compatible with all mods. 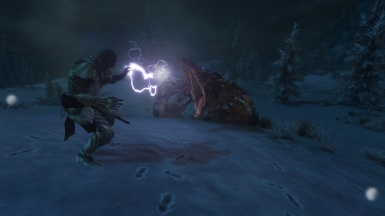 However, it does rely on certain things like bone names, their positions in the skeleton, and the correct animation events being sent by the animations. 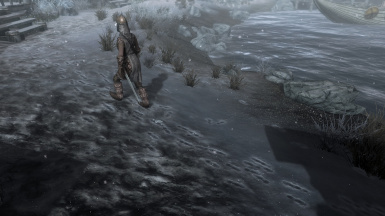 There are mods which break these things. If you suspect any incompatibilities, look at your animation replacers before anything else. Q Do you support custom playable races? 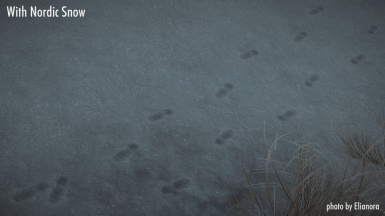 A My mod will attach footprints to ANY humanoid races as long as they use the humanoid skeleton and the mod properly defines the race as "ActorTypeNPC". Q Will you support ___________ monster mod? 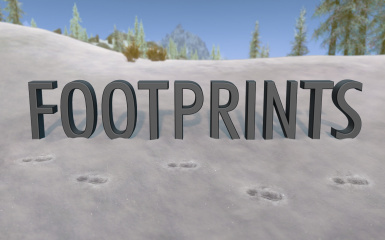 A Other modders can create plugins which provide additional footprints to the game with the Custom Footprints hook. Details and resources will eventually be provided for this process, including some example ESPs. Install the BSA and ESP to your Data folder. Activate the ESP. It will eventually shut off completely. It will periodically check if fp_IsFootprintsDisabled is set to 0 and otherwise there is ZERO overhead. 1. Play for a while (real-life hours, days) then go to an INTERIOR. 2. Save the game and Exit. 4. Load the game and make a new save. 5. OPTIONAL: Clean the save using Hadoram's Save Cleaner. You can look these instructions up yourself. It will eventually turn back on. where X is your desired value. 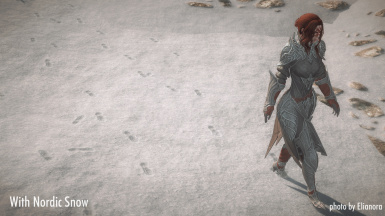 - Certain animation replacers can break the animation events being sent, and if you use these your player will not receive footprints. There is nothing on my end that I can do. 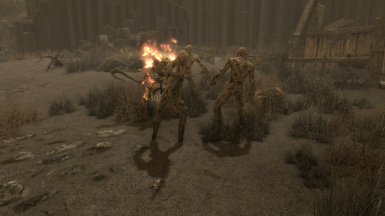 This mod works on the vanilla animations and skeletons, so the fix has to be on their end. 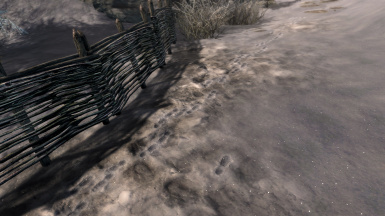 - I have confirmed that FNIS/XPMSSE by themselves are compatible with Footprints, but the animations you are using may not be (see above point). Permission is NOT given to redistribute this mod in whole or in part.